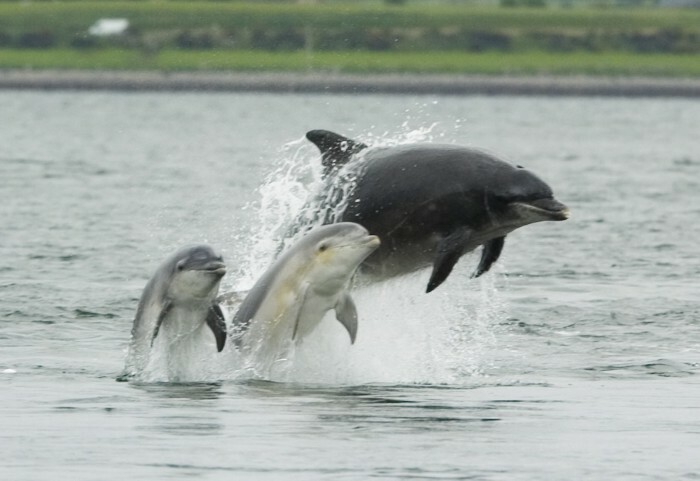 In connecting cosmology statistics research with studies on non-human language Dr. Laurance Doyle shows us a new way both to understand dolphin baby babble and how we can establish criteria for distinguishing intelligent life in space! It begins with one question: Are we Alone? Dr. Laurance answers like this: Well, we share a planet with many pretty intelligent species. There are many species that apply what might be considered an elementary form of tool use and have complex social and communicative behaviors. But then I began thinking about how whales, for example, communicate with other whales. This led me to the notion of detecting non-human intelligence in the oceans as a practice for the search for extraterrestrial intelligence in space. We’ve found general rules for what makes an intelligent signal so my colleagues and I looked into what is required for a signal to carry intelligence complexity. Starting with dolphins, I began plotting the frequency of occurrence of dolphin whistles as if they were linguistic phonemes. The plot landed in such a way that indicated dolphin signals had the same distribution as human linguistics. I thought that was amazing! We then looked at babies’ babbling before they learned language, and the baby dolphins plotted exactly the same. We could watch mathematically how they learned their whistle language as they grew up, and they mapped the same as humans’ language development. After that, I was hooked! QUESTION: How are animal communication and extraterrestrial intelligence linked? The math we use, Information Theory, is how we’re going to get a handle on what constitutes an intelligent signal. Our first paper on the dolphin research was published in 1999. We want to continue applying those studies to humpback whale communication. Taking these findings into our SETI research seems a natural transition. When SETI looks for a radio signal, it’s more the search for extraterrestrial technology as we don’t have an intelligence filter yet. With animal communications, we’re deriving an intelligence filter we can apply to signals we receive from space to determine if they land on a linguistic type distribution. Every communication system may lend itself to this area of study and we can compare which are more complex, such as orca whistles or the dance of bees. I’d like to see Information Theory used as a mathematical tool and applied to every critter. We can then start to study general species communication intelligence, which is what SETI will detect. What we are going to get over light years, if we detect anything, is communication intelligence, so that’s what we should be quantifying. We’re on the way to solving this problem, but it needs more support. This entry was tagged alien, dolphin, science, statistics.